The Brook Taverner Masonic Suit is fantastic quality at a great price. 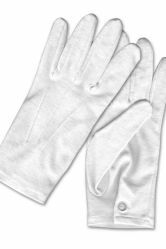 Made with 45% Worsted Wool, 55% Polyester for durability it has your comfort in mind and is the perfect item to be wearing to Masonic or other special occasions. It will keep you looking smart and sophisticated throughout the day. Matching 4 pocket waistcoat for the jacket can be bought separately on the link at the bottom of the page. 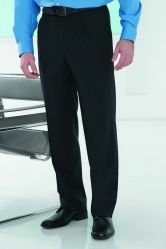 Matching waistcoat and trousers available. Jacket lengths Short, Regular and Long. Classic Black and Grey Stripe. 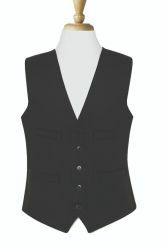 Plain Grey or Black waistcoat available. With lengths short (29.5), regular (31.5) and long (33 inch)and unfinished (36 inch). Good Fit,Quality.Quick Delivery,Well Packed,Efficent.Easy to Order Online. Nice jacket. Fits well. Looks good. I was very pleased with the speed of the response and the professionalism of the paperwork providing a system for retruning goods which I had to use becuase of an error on my part. The jacket is very well made and finished to the very best standard, a really superb product of the tailoring trade any Mason would be proud to wear it. Thought the website was fairly easy to use and the service has been excellent. Goods arrived quickly and I would recommend this supplier to my colleagues.